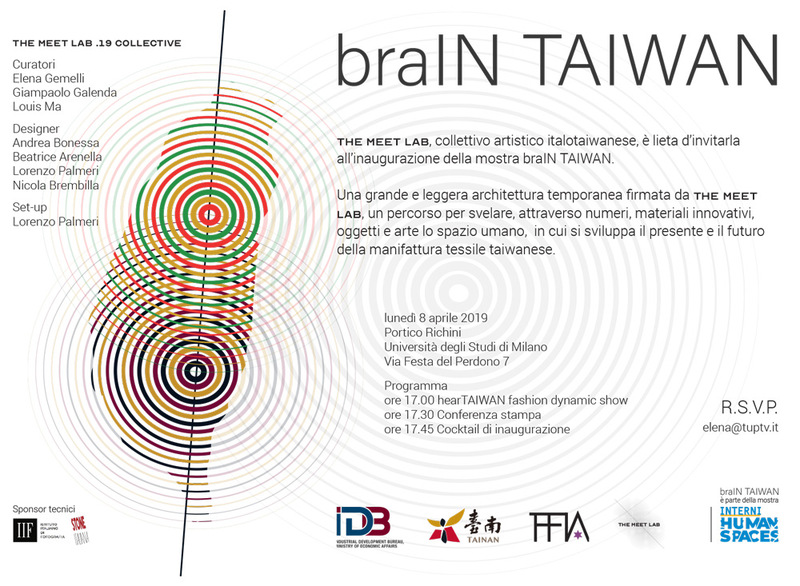 Today, April 8, 2019, eve of the opening of the annual Milan Design Week, braIN TAIWAN exhibition opens at 5:45 pm. 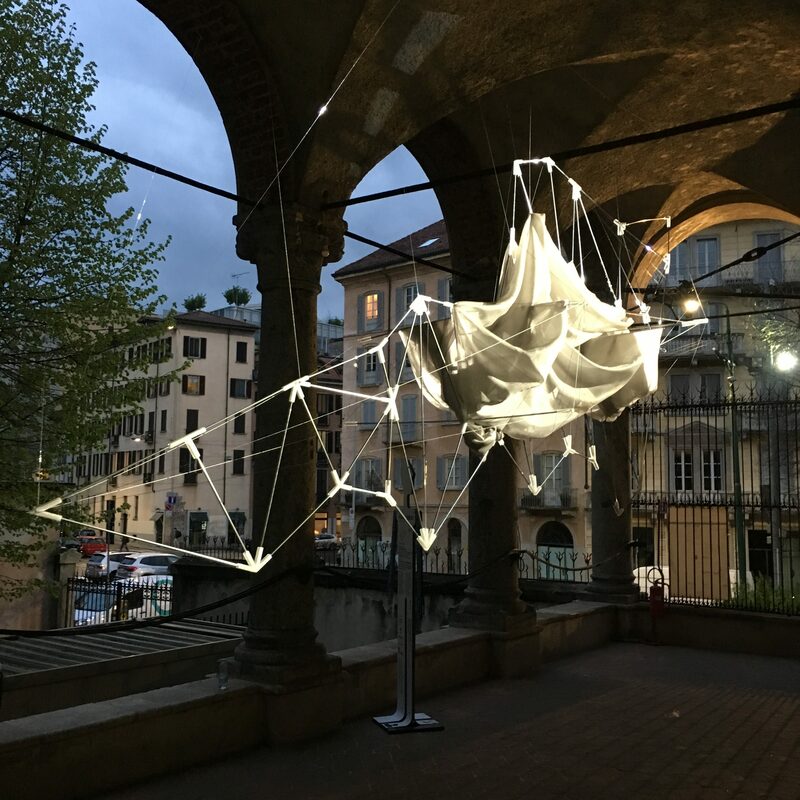 The exhibition is part of the great exhibition of Interni “Human Spaces” held every year at the University of Milan which lasts a week after the end of the Fuorisalone. BraIN TAIWAN take place in the Porch Richini. Hypnos has produced “Six Taiwanese Pieces”: six pieces of Milanese design made by Taiwanese fabrics. They reflect on the general theme Human Spaces by creating a favorable environment for the meeting between Taiwanese guests and the world that will come to Design Week. “Life is more important than design” could we paraphrase Oscar Niemeyer. The Porch Richini will therefore see different objects creating convivial spaces for productive meeting between people. In the crowded context of the Fuorisalone it will be a quiet oasis to meet and talk. MeetLab is the platform that made possible the exchange between Italy and Taiwan: a complex tool involving many people from Milan to Taipei. The collective reasoned about the general sense of the installation and then produced four personal visions, in addition to ours, Beatrice Arenella, Andrea Bonessa and Lorenzo Palmeri. There is a precise choice not to make a uniform exhibition but to allow the four approaches to show themselves in their difference. The project of the six pieces starts from the desire to develop single aspects of the Taiwanese culture. Showing a selection of technical fabrics belonging to the companies that have decided to partecipate by sending rolls of fabric to Milan. Each of the six pieces is designed to create convivial relationship spaces. People will be at the center, not the artworks.